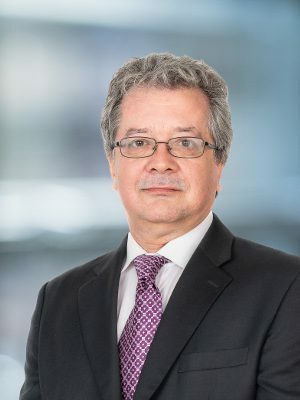 Michael has been active in the offshore funds industry since 1996 and has particular expertise in the establishment and structuring of fund vehicles. Michael set up the Cayman office of KB Associates in 2012 providing fund directorship services to the offshore fund industry. Prior to joining KB Associates, Michael was the founder of a family office service group that advised on levered fund investment structures. This included the selection and monitoring of managers and administrators supporting such structures. Previously Michael was based in the BVI where he was a founding council member of the BVI Association of Mutual Fund practitioners. In BVI, he initially managed the corporate department at Havelet Trust and then moved to ATU General Trust where he was responsible for developing the BVI office and was a senior manager working in private client business development. Whilst at ATU General Trust, Michael was also responsible for the establishment of the fund administration subsidiary. Michael commenced his career as a chartered accountant with Touche Ross in London and Morris Cottingham in Turks and Caicos. Michael holds a Master of Arts Degree (Hons) from Cambridge University and is a Fellow of the Institute of Chartered Accountants in England and Wales.